Pancake Day: Tips for the perfect pancake! As its pancake day we’re going to cover everything you need to know about making this unique annual event an enjoyable evening for you and your family. Kitchens all over the country are likely to be full of people flipping egg, milk and flour mixtures this evening so you may well benefit from some specialist cleaning services once the day is done. Thankfully, Apple Clean are fully prepared for any kind of food stain so you can count on our stain removal services if your pancake-flipping gets accidentally out of control! On the other hand it can be great fun thinking up new recipes for your pancake mixture, such as banana pancakes or even bacon pancakes. Here are some great pancake-making tips that will certainly contribute to satisfying your taste buds both tonight and in the future. Some of us aren’t equipped with the useful non-stick range of frying pans which can sometimes make frying pancakes a frustrating affair. What’s more, using too much oil in the pan can leave you with a greasy end result that won’t be all that appetising. For those not using non-stick pans, the trick is to apply some oil to the pan prior to heating it up on the hob. The next step is to use a piece of kitchen towel to spread the oil all over the pan. This reduces the amount of oil in the pan and makes it entirely non-stick. Once this is done, you should allow the pan to heat slowly before adding the pancake mixture for consistently well-cooked pancakes. Thanks to the Americans we are now quite fond of making our pancakes sweet, thick and generally unhealthier! What matters is that they taste great but many traditional crepe pancakes will add the sugar once cooking is complete. Adding sugar to the mixture beforehand can give it the sweetness it sometimes needs if you’re not throwing in a plethora of extra ingredients. Melted butter is a great addition to the pancake mixture as it helps to reduce the density of the pancake and make it fluffier with an all-round improved texture. Baking powder is essential as this is what helps to expand the flour in the pancake. 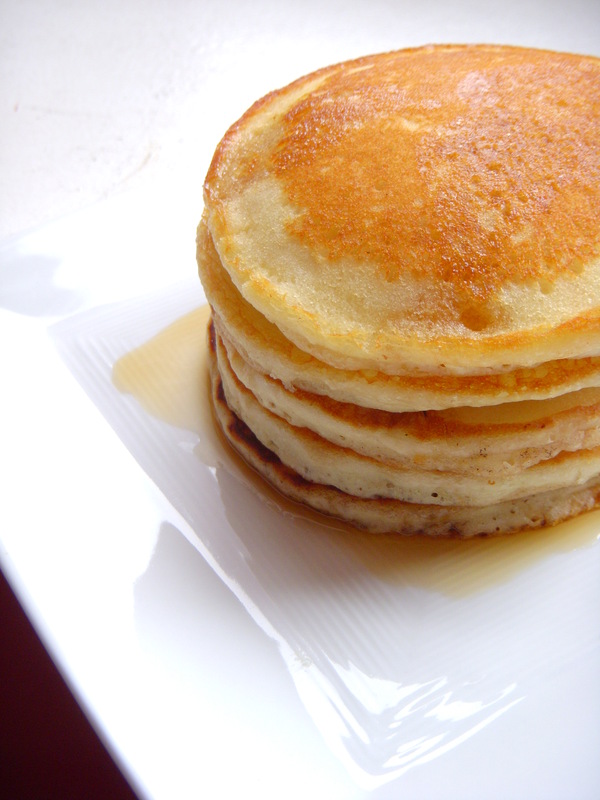 American-style pancakes without baking powder or melted butter can be quite chewy and dense. If your pancake making hasn’t gone to plan and you need help dealing with the aftermath then contact Apple Clean and we’ll help get your home clean and fresh once more!